Sweat onions and garlic in hot olive oil in a paella pan or in any large, round fairly deep pan. Add tomatoes, paprika and saffron and simmer until the liquid has reduced by half and then add the rice and squid. Stir until rice is well coated with oil and spices. Boil 4 cups of fish stock, pour over rice. Continue to cook over low heat for 20 minutes. Add shrimp, do not stir in, but simply turn as necessary to ensure they are cooked. Steam mussels and clams in remaining fish stock. 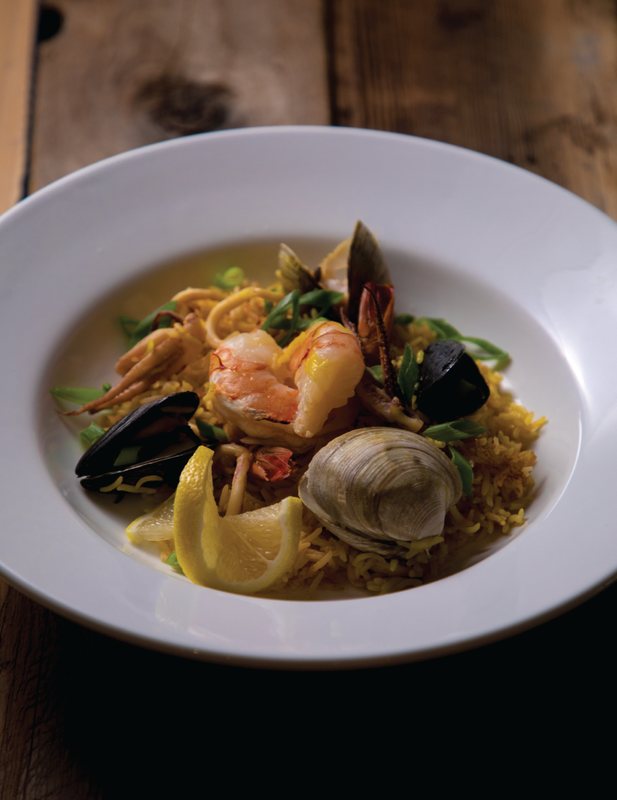 Serve in a shallow bowl and garnish with shrimp, squid, mussels and clams. Enjoy!